When choosing your personal injury lawyer after an accident causing serious injury, you need to look for someone who is highly experienced and qualified. You should not just choose any lawyer for this task. Your choice of legal representative could make a huge difference in the result of your case. You have a lot on the line: your financial security, your ability to obtain the medical care you need, and even your peace of mind. Why jeopardize these things by choosing an attorney who is less than qualified to handle your case? Experience — Our lawyers have more than 50 years of experience collectively. We've worked in this area for a long time. This means we can protect you and fight for you. Rating — We have an AV® Rating from Martindale-Hubbell®, a prestigious attorney ranking service. 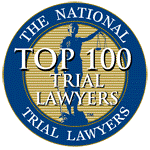 This is an honor given to only the most highly trusted and reputable law firms, known for integrity and effective representation. Memberships—Attorney Richard D. Klein is a member of the Missouri Bar Association, Illinois Bar Association, Bar Association of Metropolitan St. Louis, American Association for Justice, Missouri Association of Trial Attorneys (MATA), MATA Hall of Fame, the Illinois Trial Lawyers Associationand, and the Million Dollar & Multi-Million Dollar Advocates Forum as a Life Member. Courtroom knowledge — Attorney James C. Ochs has handled hundreds of jury and bench trials. Not all lawyers are equally equipped to represent you in court. Our firm has the experience you want on your side, so that you are prepared no matter what. Success — Our team has recovered millions of dollars for our clients in numerous successful verdicts and settlements. Results - Attorney Richard D. Klein has had cases published 3 years in a row in MO Lawyers Weekly annual edition for Best Verdict and Settlements. Contact Ochs & Klein Attorneys, P.C. for a case evaluation — Call (800) 491-1486.